Our modern, eco-friendly LED Lighting Towers combine the latest mobile lighting technology, with the numerous advantages that powerful LED lighting offers. A single tank of fuel can run a tower light for a lengthy 150 hours, whilst using an impressive 60% less fuel. 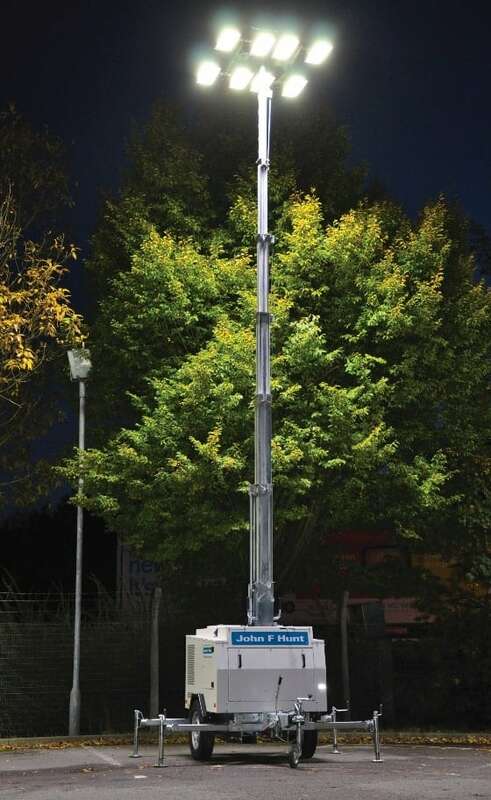 The LED lighting tower operates quietly and efficiently, with the lights providing 40% more light than a standard tower. They are suitable for use in all situations and are widely hired for construction sites, road works and events. N.B. Our tower lights generate 2000w compared to much of the opposition offering only 1000w.